Please cite as: Deflem, Mathieu. 2007. “Anomie.” Pp. 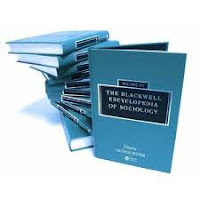 144-146 in The Blackwell Encyclopedia of Sociology, edited by George Ritzer. Oxford: Blackwell Publishing. Anomie refers to the lack or ineffectiveness of normative regulation in society. The concept was first introduced in sociology by Émile Durkheim (1893) in his study on the social dimensions of the division of labor. Contrary to Marx, Durkheim argued that the division of labor is not problematic as long as it is sufficiently regulated. However, under exceptional circumstances, Durkheim maintained, the division of labor will take on an anomic form, either because there is a lack of regulation or because the level of regulation does not match the degree of development of the division of labor. Durkheim saw such anomic forms present during periods of industrial crises, in the conflict between labor and capital, and in the lack of unity and excessive degree of specialization in the sciences. In his famous study on suicide, Durkheim (1897) extended the anomie perspective when, next to altruistic and egoistic suicide, he identified the anomic type of suicide. Durkheim argued that anomic suicide takes place when normative regulations are absent, such as in the world of trade and industry (chronic anomie), or when abrupt transitions in society lead to a loss in the effectiveness of norms to regulate behavior (acute anomie). The latter type explains the high suicide rate during fiscal crises and among divorced men. Durkheim's anomie concept was not widely influential in sociology until it was adopted and expanded in Robert K. Merton's (1938, 1968) theory of deviant behavior and opportunity structures. Differentiating between society's culturally accepted goals and its institutionalized means to reach those goals, Merton argues that a state of anomie occurs as a result of the unusually strong emphasis in US society on the cultural goals (individual success) without a corresponding emphasis on the legitimate norms (education, work). Anomie refers to the resulting demoralization or deinstitutionalization of a society's legitimate means, leading people in some social categories, depending on their socioeconomic conditions, to be more likely to adopt illegitimate and often illegal means to reach culturally approved goals. Based on Merton's work, anomie became among the most discussed and applied concepts in American sociology during the 1950s and 1960s. Working broadly within the structural functionalist framework, various theoretical extensions and reformulations were introduced and applied in empirical research. Theoretically, anomie was perceived among non-Marxists as a useful alternative to alienation. In matters of empirical research, an important development was the introduction of the concept of anomia. First introduced by Leo Srole (1956), anomia refers to the social psychological mental states of individuals who are confronted with social conditions of anomie. Throughout the 1960s, the concept of anomia was widely adopted in empirical research, in part because it was easily measurable on the basis of the anomia scale Srole had introduced. At the same time, applications of Merton's anomie theory were also popular, especially in the area of crime and deviance. Caught between the polarization of micro and macro perspectives, the relation between anomia and anomie at a theoretical level has never been adequately addressed. During the 1970s and early 1980s there was a general decrease in the popularity of structural functionalism, and the concept of anomie was much less applied and discussed. Since the late 1980s, however, there has been a revival of the sociological use of the anomie concept in at least two areas of inquiry. First, Merton's perspective of anomie and social structure is now widely recognized as one of the most influential contributions in criminological sociology (Adler & Laufer 1995; Passas & Agnew 1997). Along with Merton's various theoretical reformulations since 1938 and its extensions by others, the theoretical approach has now been broadened as comprising an anomie theory as well as a strain theory (Featherstone & Deflem 2003). Whereas Merton initially presented the two theoretical components as inextricably linked, that perspective is generally no longer accepted. Anomie refers to a state of social organization, whereas strain is a mechanism that induces deviant behavior. Strain can only occur under conditions of anomie, but the social condition of anomie can be accompanied by a variety of mechanisms that lead to deviance. In contemporary criminological sociology, strain theory is much more influential than anomie theory. Second, less widespread but no less significant is the recent adoption of the anomie concept in research on societies undergoing rapid social and economic change. This perspective particularly grew out of sociological efforts to account for the drastic changes that have been taking place in many Eastern European countries since the collapse of communism. This notion of anomie largely relies on the work of Durkheim, who introduced the concept a century before to denote similar events of transition and upheaval. It remains to be seen if and how this renewed concept of anomie will integrate with the related literature on globalization and inequality that is traditionally rather hostile toward Durkheimian and functional structuralist theories. Perhaps a new integrated perspective can emerge that will transcend the prior dichotomies between anomie and rival concepts such as alienation. Adler, F. & Laufer, W.S., eds. (1995) The Legacy of Anomie Theory. Advances in Criminological Theory, Volume X. Transaction, New Brunswick, NJ. Durkheim, E. ( 1933) The Division of Labor in Society (Translated by Simpson G.). The Free Press, Glencoe, IL. Durkheim, E. ( 1952) Suicide: A Study in Sociology (Translated by Spaulding J. A. and Simpson G.). Routledge & Kegan Paul, London. Featherstone, R. & Deflem, M. (2003). Anomie and strain: context and consequences of Merton’s two theories. Sociological Inquiry 73, 471-489. Merton, R.K. (1938) Social structure and anomie. American Sociological Review 3, 672-682. Merton, R.K. (1968) Social Theory and Social Structure. Enlarged edition. The Free Press, New York. Passas, N. & Agnew, R. eds. (1997). The Future of Anomie Theory. Northeastern University Press, Boston. Srole, L. (1956) Social integration and certain corollaries: an exploratory study. American Sociological Review 21, 709-716. An updated version was published in 2015.